It is by the signature line in the introduction to her twelfth-century translation of Aesop's Fables, "Marie ai num si sui de France", that we know her as Marie de France. She claimed to be writing in "romanz", which we classify as Anglo-Norman. She was also proficient in Latin, English, and "breton" or Welsh. Though Marie lived in England, she was of French origin. Her identity cannot be tied definitively to any real person. She is best known for her Lais, and her Fables, which were also known as Esope (a Middle English version of the Classical model). An Espurgatoire seit Patriz and a Vie Seinte Audree are also attributed to her. The purpose of this page is to present a number of links to medieval manuscript facsimiles containing Marie's work, some illustrated, accompanied by other relevant resources. It is part of the Andy Holt Virtual Library's "Manuscripts of Medieval France with Vernacular Texts", a collection of over 1000 links to manuscript facsimiles, which will include nearly all of the French medieval literarary canon, and much more. MS Paris BNF fr. 1593 - . . . 23 « Le Livre d'Yzopet », par « MARIE DE FRANCE », etc. MS Paris BNF fr. 1822 - Les Fables d'«YSOPE », trad. de Marie de France, etc. 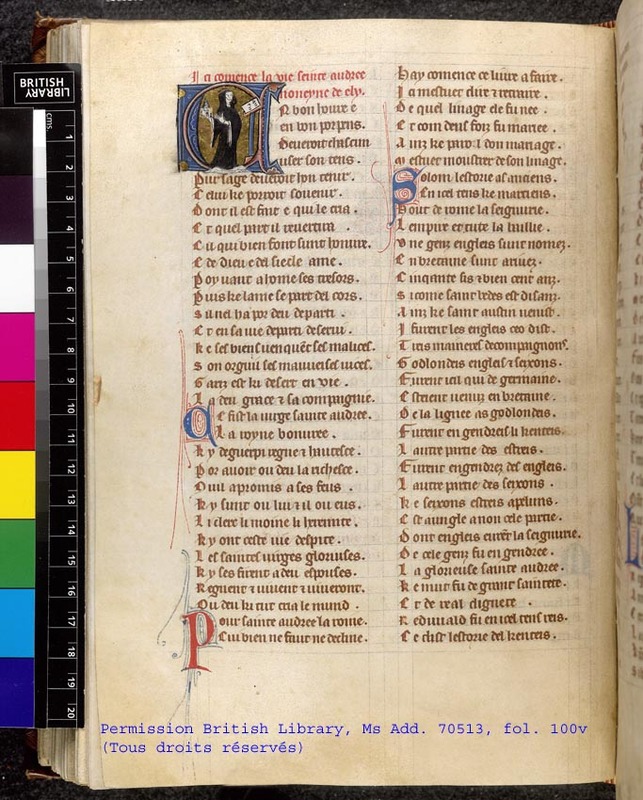 MS Paris BNF fr 12148 - Recueil d'anciennes poésies françaises: Marie de France. Fables, etc. MS Paris BNF fr 19152 - Fables de MARIE DE FRANCE., etc. MS Paris BNF fr 24432 - . . . Du lay de Yonet » ou Ywenec, par Marie de France, etc. MS Paris BNF fr. 25545 - dits, fabliaux, Ysopet de Marie de France, etc. MS Paris BNF fr. 1923 - . . . Fables d'YSOPET-AVIONNET ; en vers, etc. MS Paris BNF fr. 1603 - . . .Fables de Ysopet, etc. MS London, British Library, Harley 94333 - Marie de France's Aesop fables (ff. 73-96), 1 p.
MS Chantilly, Bibliothèque du Château 474 - Ysopet, de Marie de France, etc. MS London, British Library, Harley 94333 - Marie de France's Aesop fables (ff. 73-96) 1 p.
Fables de Mlle Marie de . . .
Full text of "The Old French Manuscripts of York Minster Library"
Peggy McCracken, "Animals and Translation in the Lais of Marie de France"